On the 4th Thursday of every month we run Creative Networking Breakfast events in Peterborough and this month is no different. Arrival is for 7.45am where you have the chance to get yourself signed in, grab a hot or cold beverage and add your marketing materials to the ‘bumf’ table while networking informally with other attendees. It is then time to take to your seats for the 60 second pitches where you have up to one minute to tell the group who you are, what you do, the sort of clients you are looking for and maybe some exciting news or special offer. Then it is breakfast time where you can help yourself to a selection of hot and cold buffet items including back pudding, sausage, bacon, eggs. bubble & squeak, porridge, croissants, flapjack, muffins, toast, cereals, fruits and much more. We will then return to our tables to complete table networking around the table where we can get to know each other further. 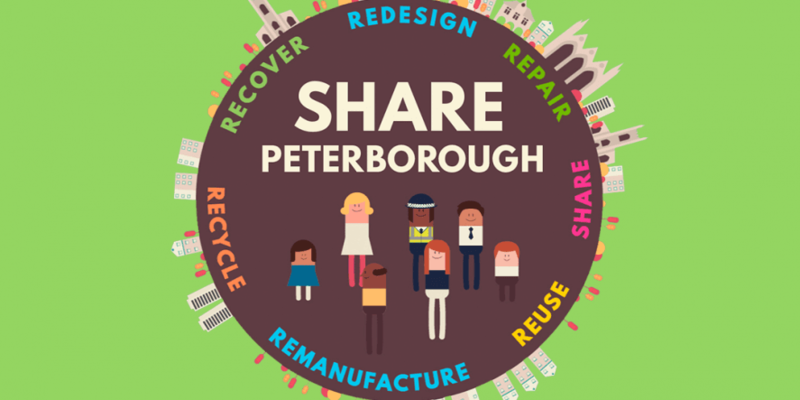 Developed by Opportunity Peterborough and Peterborough City Council, Share Peterborough is an online sharing platform designed to allow businesses to share their resources with each other. Embracing the principles of the sharing economy, the platform facilitates collaboration between businesses within the city to allow organisations to use their resources more efficiently and reduce their waste. The platform makes it easy and convenient for businesses to share resources that are no longer needed, such as waste streams, office furniture, equipment and products. Share Peterborough also allows businesses to temporarily lend equipment, spaces and other assets which are not utilised to their full capacity, including meeting rooms, skills and expertise. This provides an exciting opportunity for businesses to gain access to a wide variety of resources within the city, that normally you would not know existed. -Why was the platform developed? This is then followed by the sharing of any exciting news from the group, upcoming events and then attendees can continue networking with other attendees until 12noon (if they choose) with their free refills on hot drinks. The event officially ends at 10am. If you would like to network with other attendees before the event please use #CreativeNetworking on Twitter. The event venue can take up to 35 attendees, booking an advance is highly recommended (to avoid disappointment) and please don’t forget to invite colleagues, friends and business contacts.